Chinese New Year, commonly known as Lunar New Year, is a Chinese festival that celebrates the beginning of a new year on the traditional Chinese calendar. The festival is usually referred to as the Spring Festival in modern China and is one of several Lunar New Years in Asia. Observances traditionally take place from the evening preceding the first day of the year to the Lantern Festival, held on the 15th day of the year. 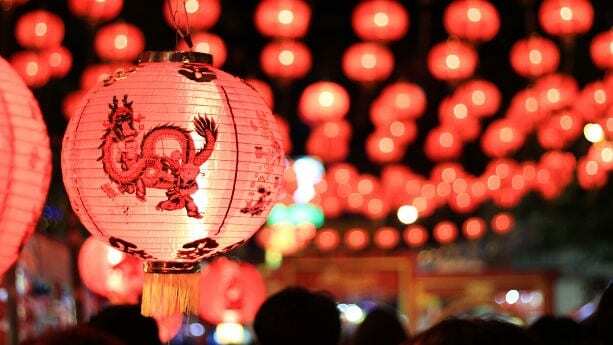 The first day of Chinese New Year begins on the new moon that appears between 21 January and 20 February. In 2019, the first day of the Lunar New Year will be on Tuesday, 5 February, initiating the Year of the pig, and the hotels are preparing for the crush of Chinese New Year holidaymakers. 1. What are the key dates for Chinese New Year travel? 2. Is that true most Chinese travelers book last-minute trips? “Many Chinese travelers book their trips two to four weeks before taking it. When compared to western travelers who plan their trip six months or more before departure, Chinese are indeed lastminute bookers when it comes to holidays. 3. How should hotels or travel intermediaries go about attracting these last minute booking clients? Is it all about discount deals, or something else? “Despite the best intentions of travelers, they don’t always have control over how far out they book a hotel room – perhaps because of difficulties in confirming time-off from work. Therefore an increasing number of people book hotel rooms in the days or even hours leading up to the start of their vacation. 4. What kind of holiday experience are Chinese travelers who want to go abroad looking for during the Chinese New Year period – city breaks or beaches, or something else? “Chinese New Year usually comes on the coldest days of the year in China. Therefore Chinese travelers want to enjoy all of the main leisure themes that can be found abroad, including beaches, skiing, family entertainment, cruises or natural scenery. 5. Is it comparable to the Western Christmas period? Are those who go abroad during the period looking for some Chinese specific experiences once in destination to help them with the Chinese New Year? “In some respects Christmas and the Chinese New Year have similarities, but with some slight variations. The most important part of both holidays is spending time with family. However, Chinese New Year is the largest annual human migration in the world, while Christmas is not comparable. 6. Do Chinese New Year travelers want to travel together with their family, or instead with friends, or alone with a partner? Do they bring children? 7. From which cities and regions in China do many of the international travelers come from: big cities like Shanghai and Beijing or Hong Kong and Tapei? Or perhaps from smaller cities or even rural areas? 8. How much impact do visa restrictions have on where Chinese travelers will go during the New Year period? What can hotels or travel intermediaries do better to support this challenge? “More and more countries offer a visa waiver or visa-on-arrival policy for Chinese travelers. In fact the number of counties with a favorable visa policy increased from 60 countries in 2017 to 74 counties in 2019. 9. Is it true that many Chinese travelers don’t have credit cards? What should Western hotels be doing when it comes to payments options such as WeChat Pay and Alipay? 10. What is the single most important factor that Chinese travelers going away internationally for the Chinese New Year will be looking at when booking a hotel? 11. And what single most important factor is likely to make a Chinese traveler NOT book a hotel for the New Year period? 12. Tell me more about the social media channels that Chinese travelers are using to research their New Year trip abroad? How much influence do these channels have and what should Western hotels be doing to leverage this? “There are lot of Chinese social media platforms for Western brands to explore – and it is a huge mistake to think that Chinese people are using Western social media platforms too, as they are not. Twitter of China. Dazhong Dianping and Meituan are the Chinese versions of Yelp. Meipai and Douyin are Chinese Instagram for video. Many tourism boards and hotels now have their official accounts on these social media channels. 13. Any last tips or advice for Western hotels on how to attract more of the millions of Chinese travelers who will take a holiday outside of China this Lunar New Year?